Our next meeting will be a presentation by Chris Starr, FRAS FBIS, IAAA. This will look at the history of the solar system focusing on NASA’s Dawn Mission. 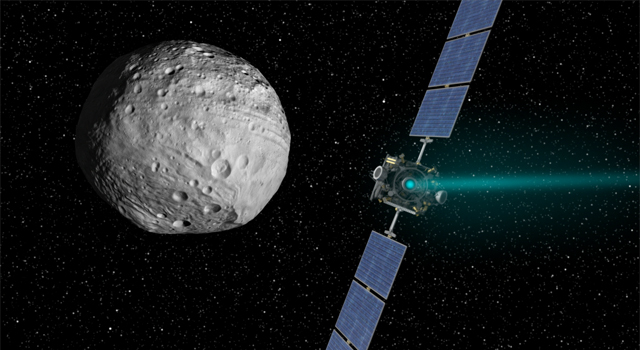 The Dawn Mission was launched in 2007 to study the asteroid belt objects Vesta and Ceres. It orbited both proto-planets and was retired this month on the 1st November. It is currently in an uncontrolled orbit around Ceres. Chris Starr is a space activist, writer and speaker. He worked as Head of Geography and Space Science at an international school in Switzerland until 2011, where he built a small observatory and organised public outreach events in the Alps, including the design and installation of a major outdoor exhibition for IYA 2009 in the ski resort of Villars. He left secondary teaching in 2011 to continue working in STEM outreach in the UK. He founded the Wells & Mendip Astronomers in Somerset, of which he is Chairman. Everyone is most welcome. Come and learn how our Solar System came into being.